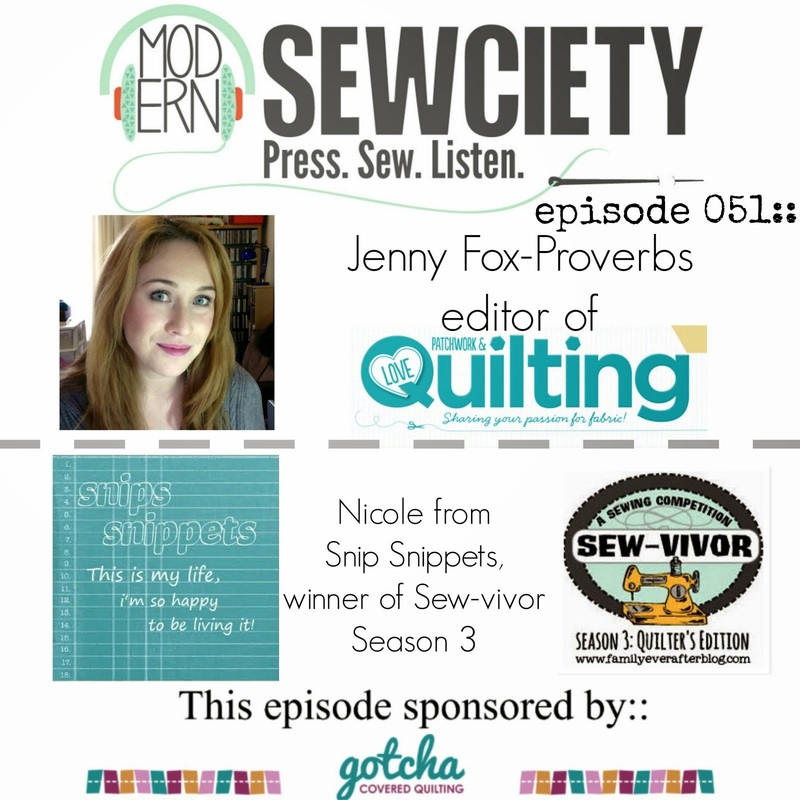 snips snippets: WIP Wednesday - the catch up edition! The charcoal grey, apple green and clear blues of your son's quilt is a striking awesome combination and I love it. I like the polka dots in the arrow. They echo the colors of the grey four point star block middle row left. I agree your X block is weak but only because it is next to your arrow's white background polka dots. I think is would look fine closer to your top row churn dash block. This is all only my opinion of course. I would suggest however that you get a white non-patterned flannel for your design wall. I buy a cheap flannel backed tablecloth and use that vinyl side against the wall. It is thicker and sturdier, you can get a big size cheap, and it has no distracting pattern to foil your creative endeavors. That gypsy wife quilt is coming along so well! I love seeing all of the blocks together. I think Sammy's quilt looks great, though I can understand how you feel. Love the bag and party stuff! Your Gypsy Wife looks amazing. 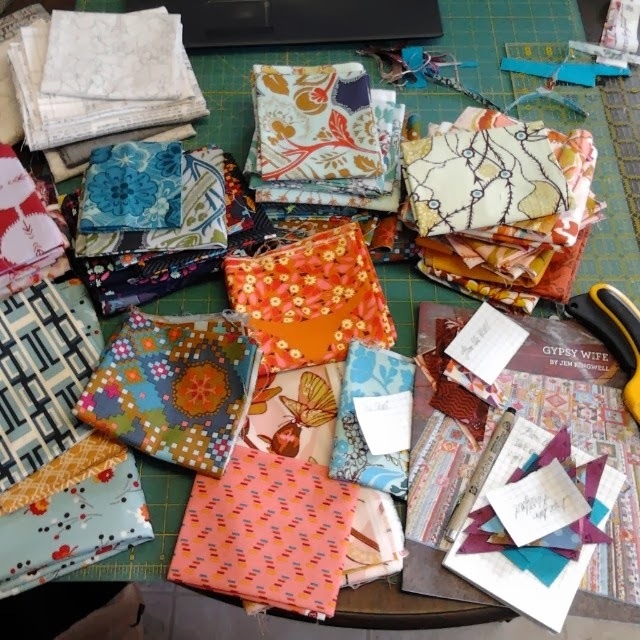 It's perfect for all those AMH prints (I just love how when you put all her crazy prints and colors together, it works perfectly), and the low volumes mellow everything out. Can't wait to see it all done! And high five on the party. It looks like it was super fun. Whoa! There was a lot in this post! I hardly know where to begin! The colours for your Gypsy Wife blocks are lover-ly... though I will admit I'm out of the loop on this block trend! I think your kiddo's quilt is coming along beautifully. 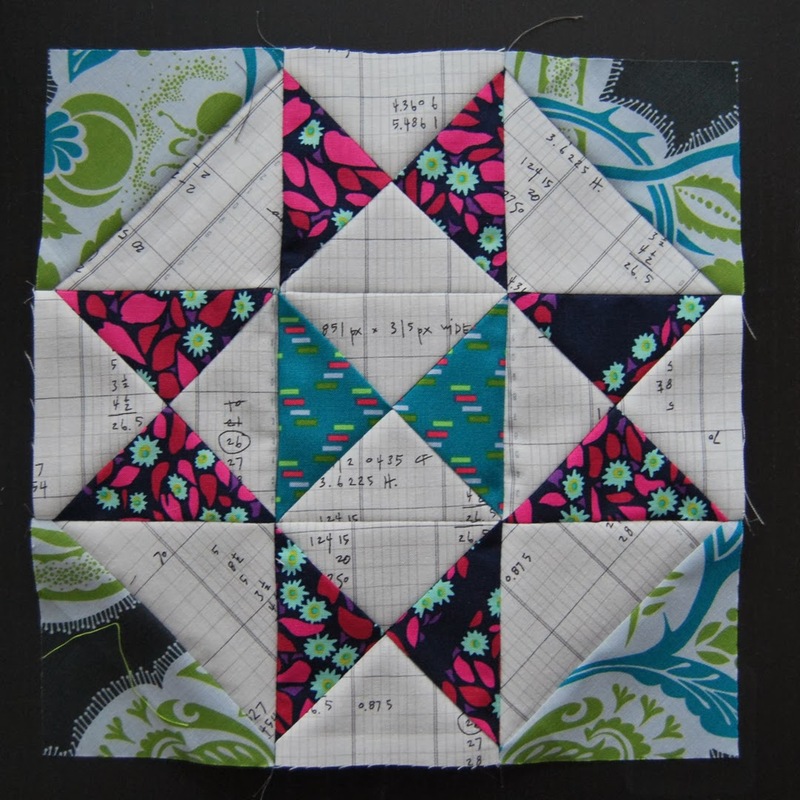 It's always tricky with sampler type quilts to get the balance just right. 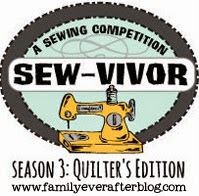 My first one was a train wreck... you've never seen it on the blog and likely won't! No matter how you put it together, it will be unique and have lots of interesting things to look at. Isn't that pretty much a kiddo's dream quilt? And that birthday party! Will you adopt me? My birthday is today... it should give you plenty of time to whip up a party of such colossal proportions for Saturday! :) Again, a kiddo's dream. I love the green quilt for the littl'un - I would maybe be tempted to add a bit more black.... love the gypsy wife blocks - well done for "resisting temptation" - I know the exact feeling! Wow, your gypsy wife blocks are really coming along! Looking great. Most people are lucky to have one awesome project but not you. You have a whole truckload of awesomeness!!! Your gypsy wife blocks are phenomenal!!! And I think I need more Architextures! I think the first block is my fave but so hard to pick 1 when I love them all!! Sammy's quilt is coming along! I think I would push the bottom over to the right and fill in the other side. I like the polka dot block and the X block but would separate them and think I would throw in more blue. I love the little orangey- red pops of color too! What a fun party you came up with too with so many fun touches!! I have been watching your Max party pinning and hoping he doesn't change his mind:). The last pic has me completely stumped and intrigued...can't wait to see what it is!!! Keep going on your gypsy wife...it is so inspiring!! I guess it takes much longer to do those sort of improv quilts. I don't usually have clear plan but it's nothing compare to you, lol. Love your pouch and party things. As for your son's quilt. I would exchange those polka dots for little strip of green and finished with grey. You seem to have enough green in that middle section. Good luck with all your projects. Okay, where to start? I LOVE all those blocks! Fabulousness!! The gypsy wife is seriously calling my name, except do I really need another wip? Cause it'll take me FOR.EV.ER. And can't wait to see the boys quilts done (and yes, you will be looking at it for a long time, it needs to make you happy, too). And super cute pouch and even super cuter (those words don't really go together, but I'll make it work) Sammy hitting the piñata!! High five! I've also been dreaming of a gypsy wife quilt. Hope to pull some fabric for it soon. Love those blocks!! Holy Moly!!!! So like what haven't you been doing in the past couple of weeks! Three things: First, your blocks are a-mazing!. I am loving the colour combinations you've got going. Second, yes get rid of the polka dots, maybe some more dark grey or red on the bottom? I don't know, seriously I shouldn't even be giving advice when I can't even make my stuff work half the time. Lastly, I have a couple parties of my own that I need planned...so you'll need to get right on that (hehehe ;) Your kid's party was awesome! Super high fives for pulling that off! You're all over the place but I love that about you. I am loving the fabric combos for the gypsy blocks. Everthing about that bday party was fabulous! Can you throw me one? haha. That zippy is ahhdorable! So much good stuff! I'll stop gushing now....if you quit with the peer pressure to join the gypsy QAL. No fair! I'm trying to be strong here. oh my goodness! you are on a roll with all of that going on. your gypsy wife blocks and fabrics rock. Looks like a really fun party for your little guy! Mom of the year award coming your way for putting all of that together! wow! When you are busy you are busy! That's an amazing amount of work! I love all of the gypsy wife quilts getting started. It's a fantastic pattern and so wonderful in the hands of different artists. 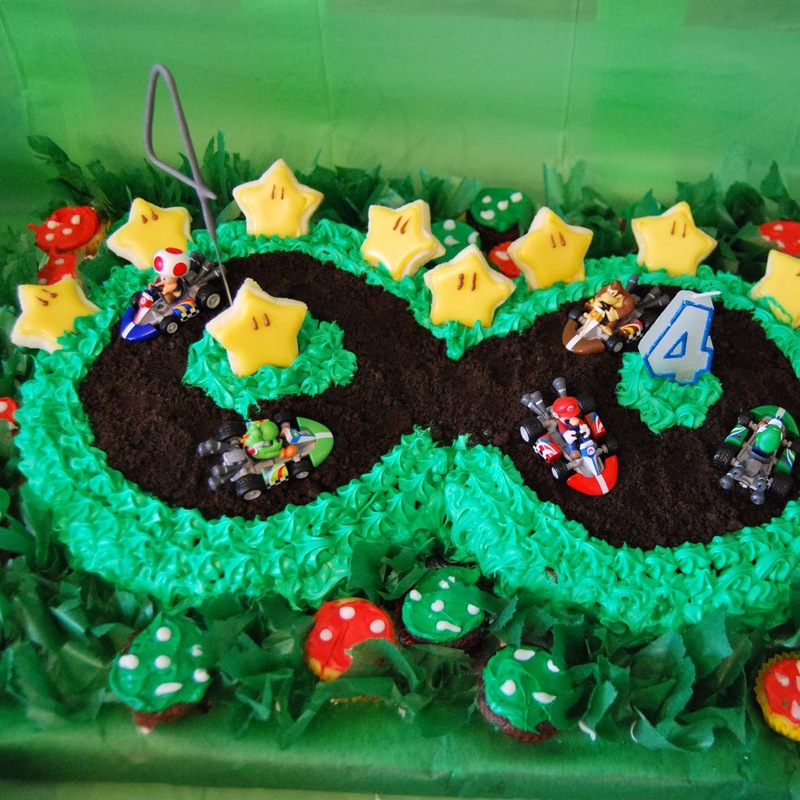 Um - you're sending me one of the mario cakes for my birthday this week, right? I half read this the other day, but didn't have time to take it all in so have come back to it!! Loving those gypsy wife blocks, almost wish I was joining in but know it's not for me at the moment...the colours are so rich and warm, it's going to look fantastic. Sammy's quilt is looking great too, that frog fabric is just too cute isn't it? I have some stashed away for a dress for my daughter...sooo many plans for after the city sampler!! That birthday spread is AMAZING too, yum...where do you find the time? !